Do you have issues with your digestive functioning? Do you have diarrhea, stomach cramping or other stomach pains? You may feel uncomfortable answering this to others but you must be honest with yourself. When you have these digestive issues or others, you need to do something about it. You don’t have to let these issues ruin your day. There are some water recipes that are going to be perfect for getting better digestive functioning. Find out what these recipes are today! Adding lime or lemon to your water can improve your digestive functioning. These are quite high in Vitamin C levels. These are the two things that can help your body to create digestive enzymes. All you need to do to create this recipe is to cut up limes and lemons and toss them into a jug of water. It is very simple and very nutritious for you as well. Adding apple cider vinegar to your water (about 2 to 3 tablespoons of it) will help you to flush the toxins out of your body. Mixing this up to your water is also going to help raise your metabolism and improve your digestion as well. Finally, apple cider vinegar is going to start balancing your pH levels which also benefits the digestive functioning in your body. 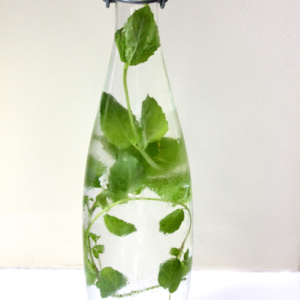 Adding fresh mint leaves to your water can help improve the functioning of your salivary glands and improve bile flow as well. In addition, these leaves will properly absorb the nutrients and vitamins in the food you eat and create more digestive enzymes. Also, if you have a stomachache you should use fresh mint leaves in your water to relieve it. Adding cucumber to your water will also help to improve your digestive system. It will create healthier bowel movements too. Cucumbers have a lot of fiber in them which also helps to regular bowel movements and better your digestive functioning. You should add in half of a cucumber that is sliced up. You just toss those into a jar of water and you will have a water recipe that improves your digestive functioning. These are some of the ways that you can get better digestive functioning. These are some very popular water recipes. Not only are they so great for your digestive system but they will be very easy to whip up as well. The ingredients are simple and affordable. If you are having any sort of digestive issue, you will be surprised at how quickly these water recipes can help to make things better.